A short sale is something that occurs when a homeowner is not able to make the mortgage payments on time due to a financial hardship. Instead of foreclosing on the property after one or more missed payments, the bank may agree to allow the homeowner to turn the home over to the bank, which will sell it as close to market value as possible. 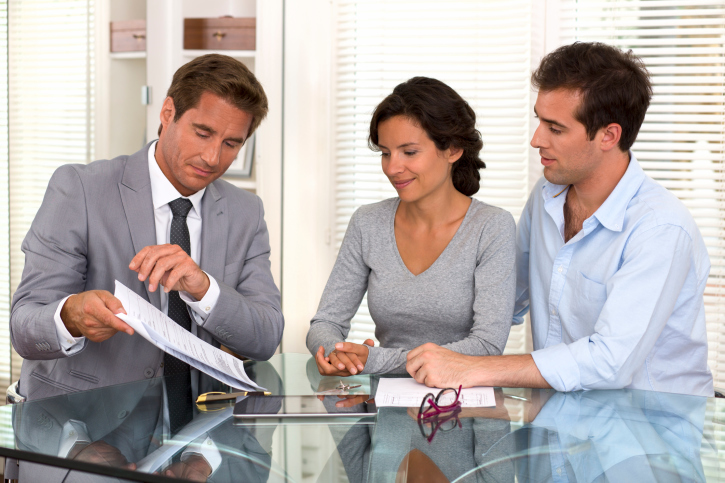 The first step in the short sale process is for the homeowner to submit an information package to the bank. The homeowner will provide information such as the reason for the short sale, an authorization letter allowing the real estate agent to talk to the bank, and a financial statement. In addition, the seller may need to provide an HUD-1 statement as well as a list of comparable homes in the area. Once the house is put on the market, a buyer can make an offer just as he or she would on any other home. 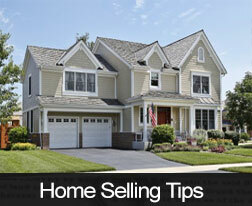 The seller will then have the opportunity to accept any offer that he or she receives from a prospective buyer. Once the seller accepts an offer to buy the home on short sale, the seller is responsible for sending information about the sale to the bank. Before the sale is finalized, the bank must approve the buyer’s offer. It could take as little as two weeks or as long as 120 days for the bank to approve the offer. However, not all short sales are immediately approved. The seller’s bank might decline the buyer’s offer for one reason or another. A bank may decline a short sale offer if the bank negotiator thinks the house is worth more than the buyer’s offer. It could also happen if the seller violates a clause in the short sale agreement – such as moving out of the property and violating a clause that states only owner-occupied properties are eligible for short sale. Buying a home that is being sold as a short sale requires patience and an ability to move at the bank’s pace. Working closely with an experienced lender or mortgage broker may make it easier to get through the process without a lot of hassle or drama. After all of the excitement of the holidays, the sparkle of the lights and the over-stimulation of decorations, the rest of winter can seem lackluster. Don’t let your home add to the dreariness of the season. Spruce up your curb appeal with the tips below and inspire your neighbors to create well-groomed streets that will make drivers passing through smile. If you’re currently located in a winter wonderland, then dig up any dead plants that won’t grow back. Replace them with cold-loving flowers, such as snowberry or lambs ear. In warmer climates, this is the time for any landscaping changes you’d like to make. It will give your plants a chance to flourish by spring and have solid roots before the harsh heat of summer. With daylight hours dwindling, well-placed outdoor lighting will help highlight your home’s best features in the evening. Not only do they make your home look warm and cozy, but they also provide much-needed walkway lighting so that your guests arrive safely. Reclaim a vintage mailbox or get creative with paint to let the neighborhood know your family’s favorite sports team. A personalized letterbox says a lot about your household, so make it something special that doesn’t look like every other box on the street. Also, visitors trying to find your home always appreciate large, easy-to-read address numbers visible from both directions. Create focal points with terra cotta or colorful pots. Place them around your door to make a cozy entrance. Use evergreens and holly to give the curb appeal of your home a wintry feeling or brighten up a dark doorstep with cheerful pansies. Perk up your curb appeal when the weather is dreary by painting your front door in a color that packs a punch. Try a vibrant red, bright blue or sage green. These colors will make your home feel warm and cheerful. However, don’t apply paint if the weather is below 40 degrees, because it will dry brittle and crack. This means de-cluttering your home, re-arranging furniture, and de-personalizing each room. A staged home is more appealing to buyers and helps to highlight your home’s positive features. However, staging is not meant to cover major flaws in your home. Some things just have to be repaired. It doesn’t matter how pretty your home is, your buyer is going to expect you to fix roof problems or adjust your price to cover them. Your roof is one of the most important parts of your home. Of course, you can use throw rugs to cover cracks in your tile, but chances are your buyers are going to look under them. Then they may think you are trying to hide a serious problem like a shifting foundation. Save yourself the headache and have your floors fixed. You have to expect your buyers to walk around your home checking out the views from the windows. They’re going to notice any cracks. If you have the budget, consider upgrading your windows and making your home more marketable. At the very least, you should have the glass replaced. If you have torn screens, your buyers may think you don’t take care of your property. Yet, screens are fairly easy to fix on your own. With the right supplies from your local hardware store, you can have new, sleek screens in less than a day. Home inspections are a tense time for everyone. Sellers are fervently hoping that nothing major is wrong with their home that could hold up the transaction. Buyers are eager to hear that their new house is in prime condition. Whatever the wishes, one thing is for sure; any news from an inspector is usually bad news. Home inspectors have a tough job. They have to be trained to spot hundreds of potential issues with a home and be knowledgeable of local codes, community restrictions and residential permit parameters. Stay one step ahead of your home inspector by reading the list of common home inspection issues below. Then hopefully your inspection won’t reveal any unwelcome surprises. This is a common bubble-busting issue, especially in older homes. Wiring might have been up to code when the home was built, but it now violates code and is a fire hazard. Look for ungrounded outlets, shoddy wiring or a mass of confusing connections in the electrical panel. Replacing an entire electrical system can be expensive, but it’s worth it not to risk a fire. Look for signs of water damage in the ceilings. This could be a sign that something above, like a bathtub or sink is leaking into the floor or walls. Look around toilets and inside kitchen cabinets for traces of wet flooring or wood. While external leaks are easy enough to fix, interior pipes might require you to rip up flooring. Examine the foundation and framing of your home for any structural issues. You’ll want to keep an eye out for cracking in the foundation due to water runoff or settling. Also, look for signs of wood rot or termite damage. These issues affect the framing of your home and could cause scary structural problems if left unattended. While it’s probably too difficult for you to inspect the roof yourself, just stand back in the yard and see if you can notice any bare spots. Also, check for water damage around the roofline from rain leaking in. Don’t get too discouraged about roof issues. It might not call for a complete replacement, but just a repair on one section. These common home inspection issues affect both sellers and buyers. As a buyer, you’ll want to keep a eye out for these problems so that you know what you’d be getting for your hard-earned money. 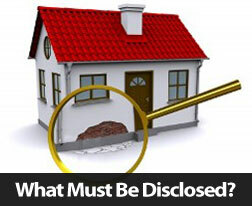 As a seller, it’s good to stay one step ahead of the home inspector so that whatever price is agreed upon goes through. Do Those Additions Really Add Value To Your Colorado Springs Home? These are a few examples of home additions that will not add to the resale value of your property. 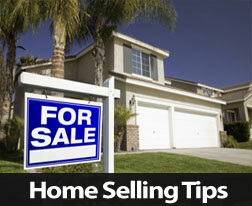 To find out more about selling your home, call us today. Of course, these are just guidelines to help you plan your next home sale. No matter what time of year it is, if you need advice on selling your Colorado Springs home, call your trusted real estate professional right away. Don’t overprice your Colorado home in order to be able to negotiate to the price you want to settle on. Of course, you want to get an appropriate value from it, but many first-time buyers are on tight budgets and will rule out higher-priced houses. Your over-priced property may sit on the market longer and then the price will have to be reduced anyway. Everyone knows that first impressions are important. By carefully staging your home, you can positively influence the feelings your potential buyers have when they are viewing the property. Staging is the art of decorating and arranging the spaces within your house to make it more appealing to buyers. If you can adapt the rooms to create an attractive and welcoming zone that home buyers can see themselves in, they will be more likely to buy your property. Clear out the clutter. The most important step is to de-clutter, because a mess will turn off potential buyers. Clear away any papers, toys and other items to make your living room as clean and minimalist as possible. Go zen. The main purpose of a living room is for relaxation, so make the space look as comfortable as possible. Try a soft throw on the sofa, plush cushions and a big chair that is just begging you to come curl up with a book. Strategically place furniture. Arrange the living room furniture to create areas of conversation, such as two sofas facing each other with a low coffee table in the middle. Depersonalize. Remove your personal items. If you have too many family photos and personal effects in the room, it can make it difficult for your potential buyers to imagine their own family living there. Remove the bulk. If your living room feels small, you can remove some of the furniture to give it the illusion of being bigger. Channel your green thumb. You might want to consider bringing in some plants to make the space feel fresh. Brighten it up. If your living room has dark corners, invest in upright lamps that will help illuminate the space and provide an aura of intimacy. 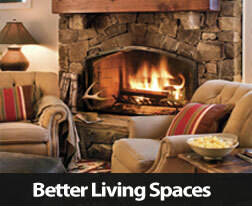 With these seven tips, the living room in your Colorado Springs home will be much more appealing to potential buyers. If you are ready to make a move to your next home, call us for a personal consultation to get the best home mortgage loan for your purchase. When deciding to sell a piece of Colorado Springs real estate, there are certain things you must disclose about the property to the buyer before the sale can go through.